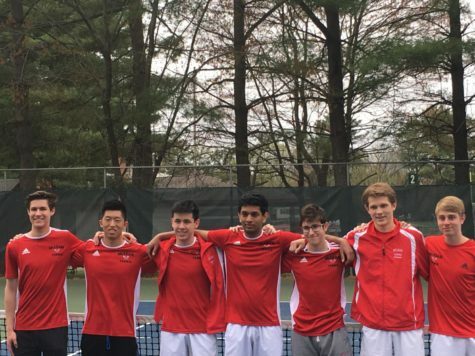 McLean High School’s tennis team was the 2017 state champion and now a new star will join the team, looking to win another state championship. Freshman Nathan Nguyen is ranked second in Virginia and top 100 in the nation for 14-year-olds. Nguyen also contributed in a charity event for thousands of people that was broadcasted nationally in US open tennis channel. “I felt like a star,” Nguyen said. He also got a chance to meet top tennis player Roger Federer. “I always wanted to meet him and ask him questions,” Nguyen said. Nguyen had to participate in many tournaments to play in front of thousands of people. Nguyen started playing tennis when he was only 7 years old. “I was watching a tennis match one day and asked my dad if I can play tennis, and that’s why I started,” Nguyen said. Now he practices every day. “I wake up around 6:30 a.m., eat breakfast and warm up by stretching and hitting tennis balls,” Nguyen said. With all the dedication and time spent on tennis, Nguyen wants to compete at the pro level. “If I don’t make it to the pros, at least college,” Nguyen said. Nguyen has a older brother that attends McLean and is also a tennis star. “I’m the better tennis player, I can beat him in matches; he’s not good compared to me,” Nguyen said. 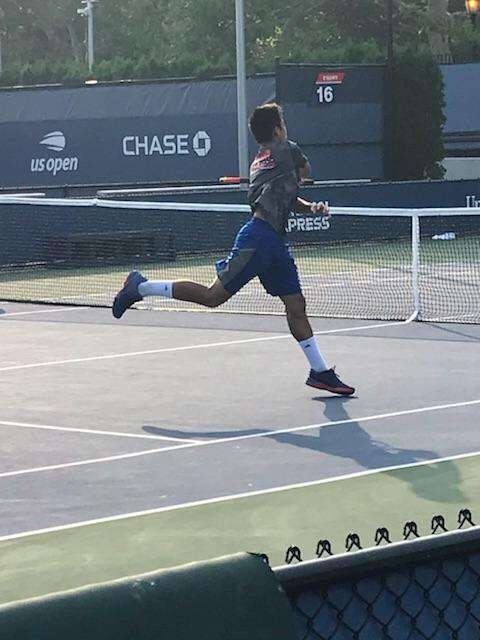 For all inspiring tennis players, Nathan Nguyen has some tips on becoming a top tennis player. “Always try your best – put on that effort, it’ll pay off,” Nguyen said. When Nguyen feels doubted he looks up to Rafael Nadar. “Nadar’s hard work and his work ethic motivates me to work harder,” Nguyen said.